This year will mark the 100th anniversary of the Australian and New Zealand troops landing on the shores of Gallipoli in Turkey during the First World War. You can find details on ANZAC services being held across the Gold Coast here. 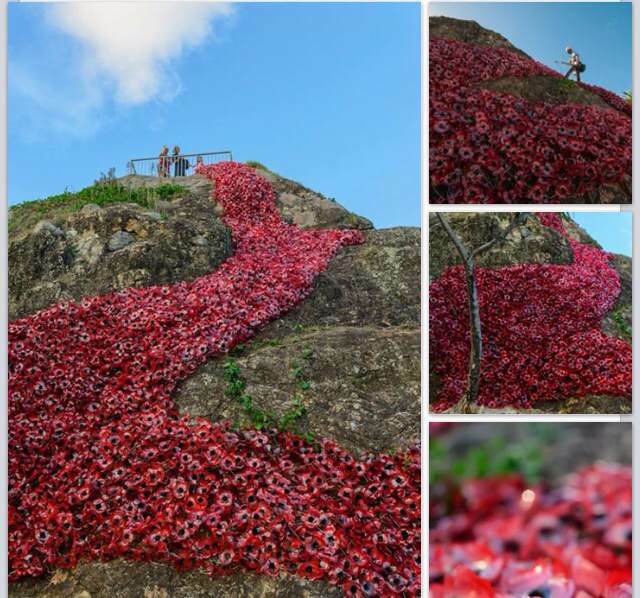 Below is a picture of 5000 poppies created from 10,000 recycled bottles all ready for the Anzac Day dawn service at Elephant Rock, Currumbin on the Gold Coast. Image thanks to More Gold Coast​. You can read more about the project here.